Don’t bring another boring appetizer to a party. 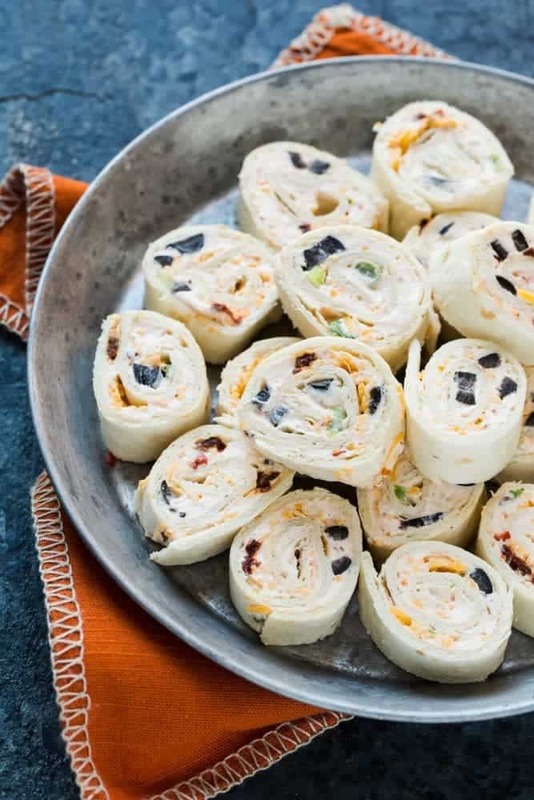 These Cheesy Chipotle Roll Ups will be your new best friend, no oven or sauce needed. Appetizers are my weakness. I love snacking on the little bites before dinner, and, if given the choice between an appetizer and dessert, nine times out of ten the appetizer wins. So when I create a new appetizer that is a little different from my go-to favorites, AND the whole family loves it, I can’t help but do a little happy dance. (It’s the little things in life, right?) Combine that with easy-to-find ingredients and minimal prep time, and I hit the jackpot. 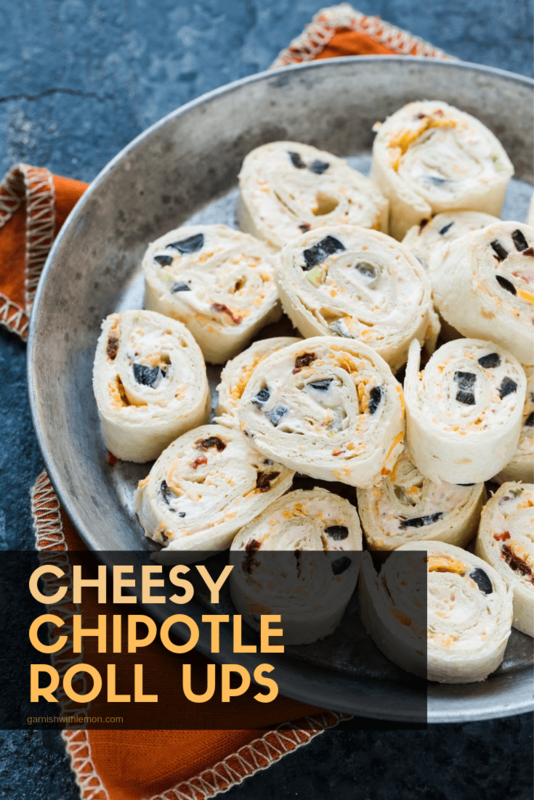 That’s just what happened with these Cheesy Chipotle Roll Ups. 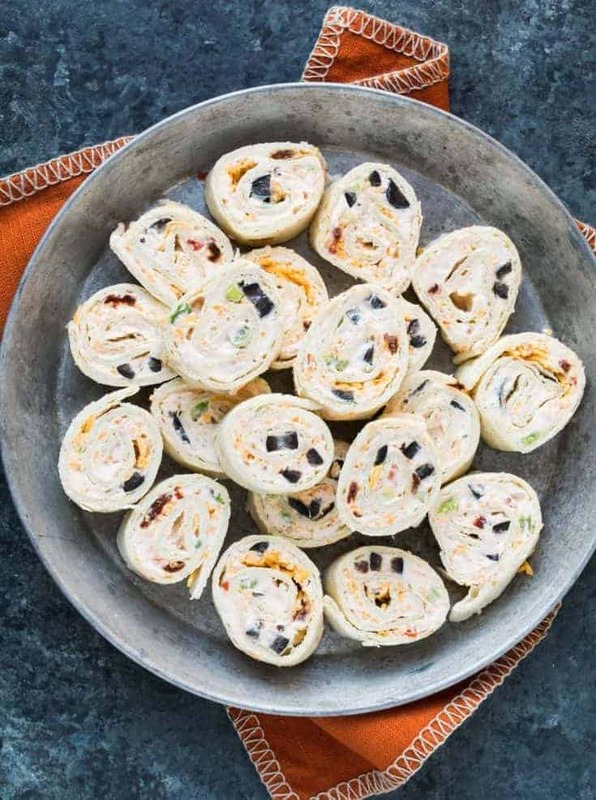 The smoky flavor and subtle heat from the chipotle peppers makes these a stand out above other roll ups. And the best thing? You don’t even need a sauce to go with these as they have enough flavor all on their own. That, my friends, makes these the perfect appetizer to take a party. No oven, no crackers, no dips, just slice the rollups and arrange on a platter. Voila! Easy entertaining at its best. Just be careful – they are crazy addictive and easy to pop in your mouth one right after the other. Tip: This Spreader is a workhorse in my kitchen and makes spreading the cream cheese mixture a breeze! This easy make-ahead recipe is a party favorite! In a medium bowl, mix cream cheese, sour cream and lime juice until smooth. Stir in chipotle peppers and black olives and mix until incorporated. Spread 1/8 of the mixture on a tortilla, sprinkle with 2 tablespoons of shredded cheddar cheese and roll tightly. Chill for at least 4 hours until slicing. I find these slice best after 20 minutes in the freezer to set the cheese.